There may come a time when you may need to access the admin page of your Linksys router. Or update the firmware of the Linksys router and need access to the admin page. You may have changed the default password and even the username. You may have forgotten the new credentials and the best way to reach the admin page is by resetting the router. 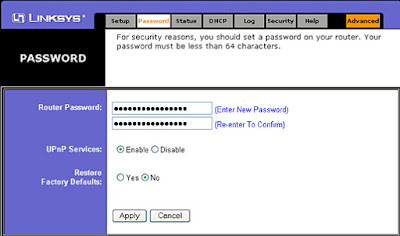 Let us learn how to reset your username and password on a Linksys wireless router in the following article. The first thing to do is take a thin pointed object and push the tiny reset button on the back panel of the Linksys router. Keep the button pressed for 30 seconds. REMEMBER: Resetting will lead to loss of all encryption information saved on your router. It will be as good as a new router. After you have completed pressing the button and the LED lights on the router panel stop blinking, enter the default IP address of your Linksys router in any web browser. A window will pop up asking you to enter your username and password. After resetting, you need to enter default username and password. In case you have forgotten the default credentials, look at the sticker on the router. It will contain information related to username and password. 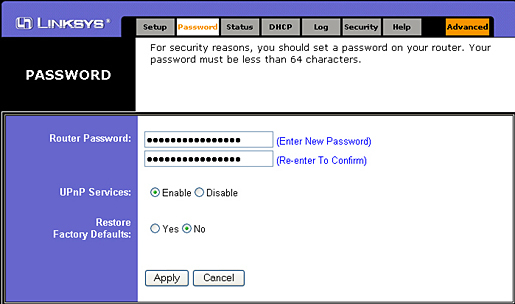 Usually, the username in Linksys router needs to be kept Blank and type admin in the password field. This is all about how to reset your username and password on a Linksys router. Just follow this simple procedure and make sure you change the passkey or password of your network as well. This will keep your network secured and safe from hackers.